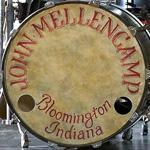 John Mellencamp Community > MELLENCAMP DISCUSSION > No Better Than This Tour Talk > Indianapolis, IN (Clowes) > Got 'em! I got the tix for Clowes, but that was so stressful!! At first I was pulling up row L, M, O. 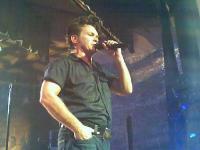 Then I got row J. Bought those and went back for more. I pulled up 2 in row E so I snatched those up, too. I would be interested in knowing how many tix were Premium tix, how many were held out for VIPs, and how many were on sale this morning. I would say that 60% of the time I wasn't pulling anything! But, it's over now and we'll be there!! Let the countdown begin! I want to know who we'll be seeing there! Who else is going & where will you be rockin' it? There are a tiny number of Premium Tickets per show, think dozens, not hundreds. Remember that the promoter always reserves seats to go on sale to the general public and a least a small percentage are held for sale in the other presales that go up Friday. I knew that was the case, I was just wondering what the percentages/amounts were. I think it would be interesting to see the breakdown of the seating release. Just out of curiousity. It would also be interesting to know how many people were online trying to get tix at 10am. I will be there right beside you Kyra...whichever row it is!